← Bose 901 Active Equalizer #20262 Repaired! There’s always something interesting for sale on Craigslist, especially in Seattle. 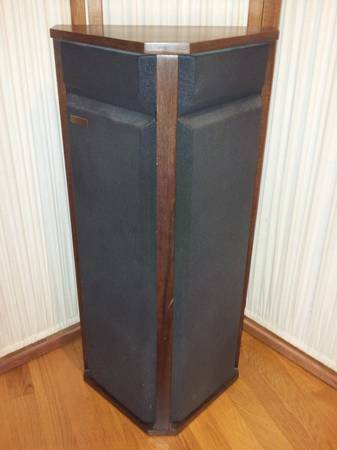 Here’s a selection of especially notable vintage speakers and other audio products for sale on the local Craigslist. I’m not affiliated with any of these sales, but if you’re interested, you should contact the seller through the respective Craigslist page! Do click through each of the titles – the original postings contain a lot more information and many more photos, along with the seller’s contact information to request more information. If the ads are removed, the speaker probably sold, so don’t be alarmed if some links don’t work. I bet these have a very wide sound stage from the bipolar angled design. Bose 601 Direct/Reflecting speakers produce a very wide, warm, rich sound that’s very life-like. 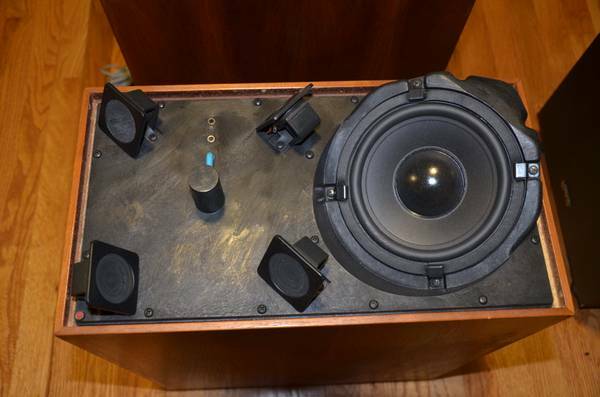 The 601 speakers feature a pair of 8″ woofers and 4 tweeters arranged in a reflecting pattern. When properly set up in a room they sound excellent. 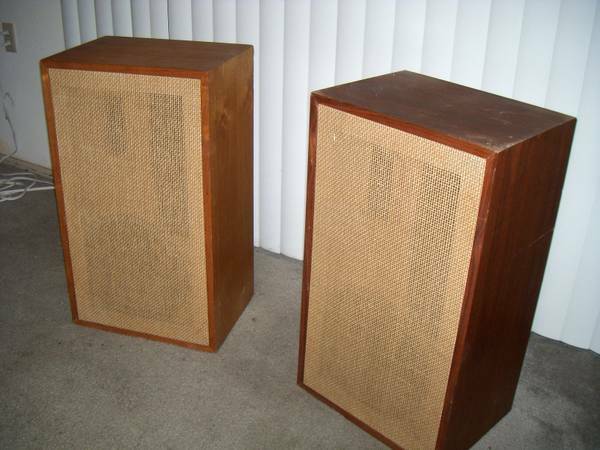 These speakers started out as the flat-pack kit Speakerlab K-Horns, but the builder took some liberty with the designs. 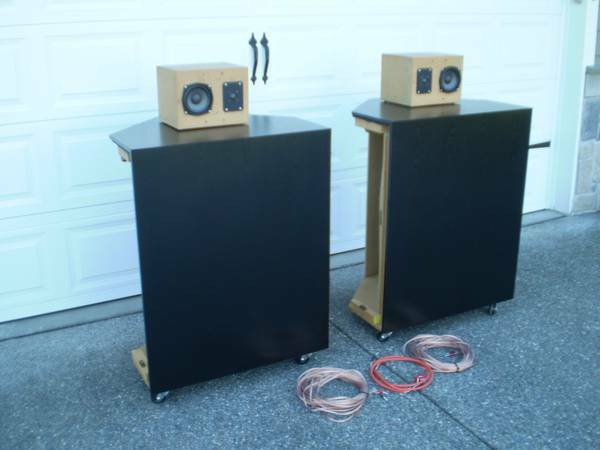 Instead of the same driver compliment usually found on the Klipschorns, with the pair of Electro-Voice mid and high horn drivers, they seem to have elected to build the bass cabinets and use alternate mid and high frequency drivers in separate enclosures. This would make the base of an interesting frankenhorn system, perhaps paired with an Altec or JBL multicell horn on top? From before Fisher went a bit downmarket, these look pretty interesting and might perform well. 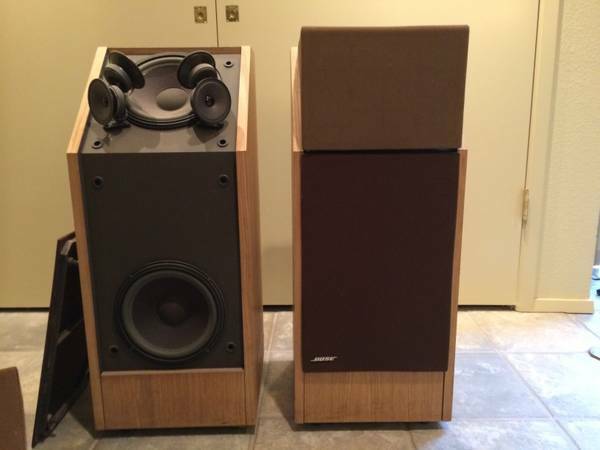 The seller reports the woofers (12″ or 15″) have been refoamed, and the phenolic ring tweeters typically appeared on higher end equipment, including speakers made by Altec Lansing and Marantz. 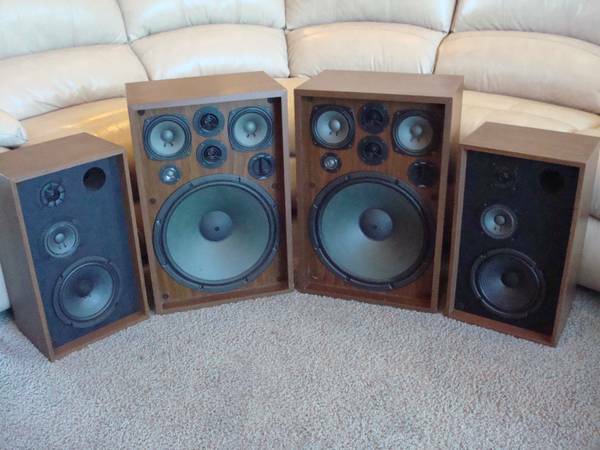 Vintage Infinity speakers aren’t especially common in my experience. These are shallow 4-way designs featuring a pair of Emit planar tweeters (one in front, one on the rear) with dome midrange drivers. The Emit tweeters are bright and crisp, I bet these have a lot of definition in the high end. 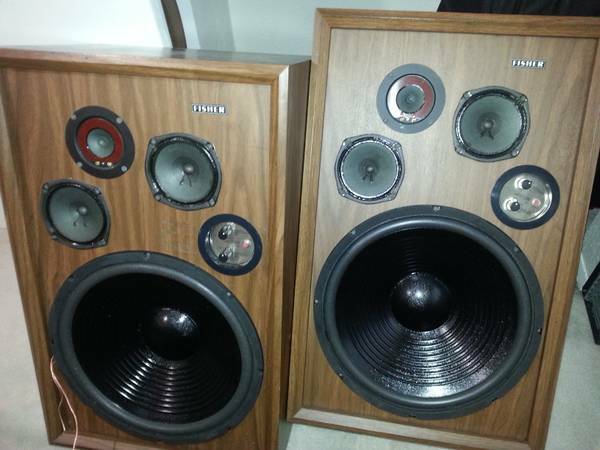 With what looks to be 8″ woofers and horizontally mounted Emit planar tweeters, these vintage Infinity bookshelf speakers probably sound great for near-field listening. 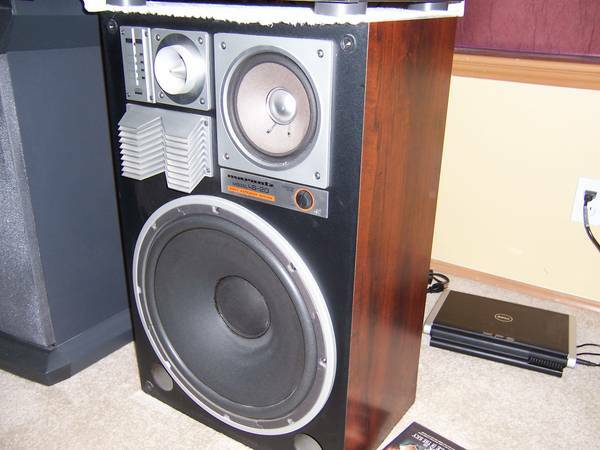 I rather like the vintage wood lattice grille Kenwood speakers. 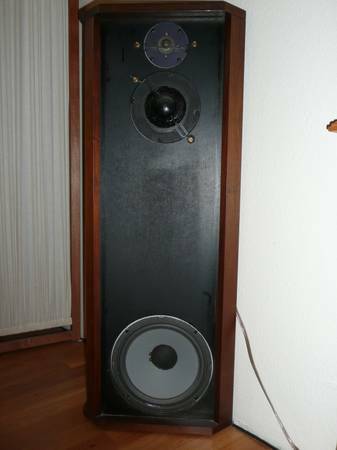 In this case, this is a pair of KL-777As, 4-way/6-driver, and a pair of 333D 3-way/3-driver speakers. 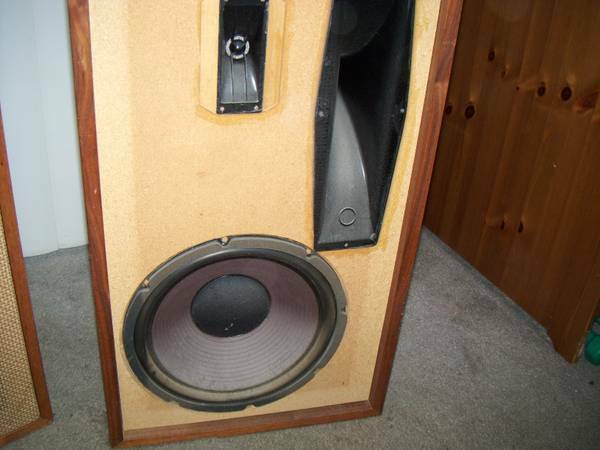 These are known for being very lively and musical and would make an excellent, affordable vintage quad system. I don’t run into Marantz speakers very often and haven’t heard a set myself, but I know they have a reputation for being able to thump and in general sounding excellent. These look like they’re from the ’80s, a bit flashy, but worth checking out! 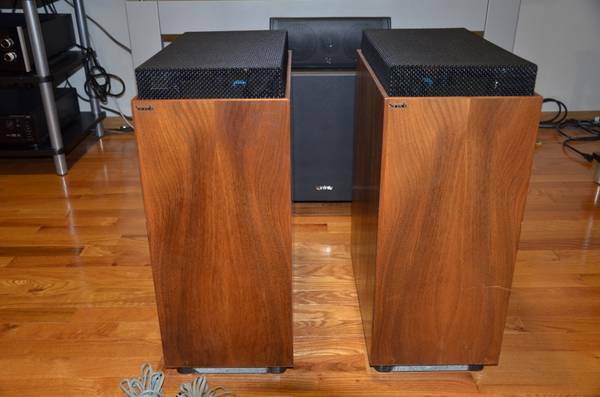 These are pretty rare vintage hi-fi speakers from Sweden. They have an interesting reflecting design that reminds me a bit of the Bose 601, with angled upward-firing woofers and four tweeters. It’s a very interesting design, I’m curious how they sound! 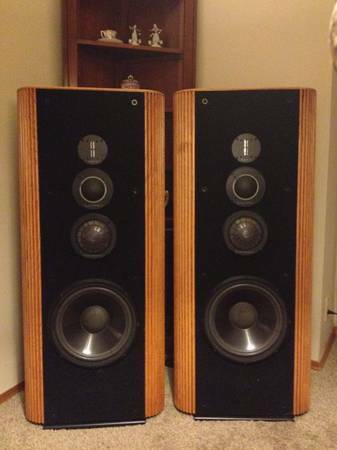 These have been on Craigslist a few times in the local area in the last year. It looks like they’ve changed hands since the last time, and the price is considerably higher. These have the 15″ woofer inside the folded horn and an Electro-Voice tweeter, but feature a 6.5″ midrange driver instead of a midrange horn. 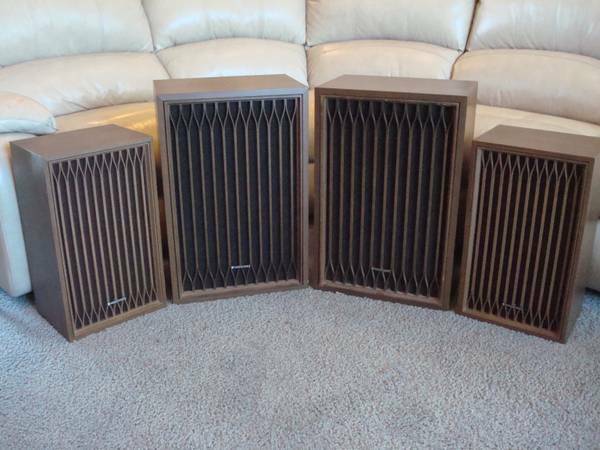 I believe this was the last year Speakerlab sold the corner horn design, which had moved away from the Klipsch-inspired design of the Speakerlab K.
You don’t see these very often, the Speakerlab Six is one size down from the Super 7s. The main difference is the Six lacks the 10″ passive radiator found on the Seven, and accordingly different driver placement. 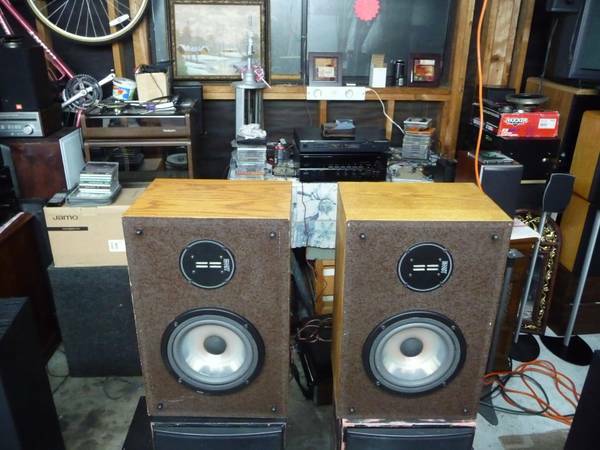 If one of these speakers looks interesting, click through to Craigslist and contact the seller! Previous issues of the Speaker Spotter. 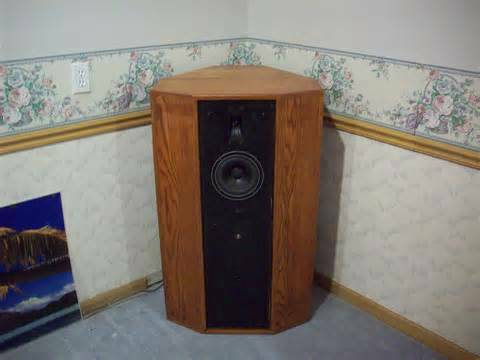 This entry was posted in Audio, Collections, Photos, Speakers, Stereo, Vintage and tagged Allison, Allison One, Bose, Bose 601, Corner Horn, Craigslist, Fisher, Fisher XP95B, Infinity, Infinity Kappa 8, Infinity RSe, k horn, Kappa 8, kenwood, KL-333D, KL-777A, klipschorn, LS-20, Marantz, Marantz LS-20, OA-14, photo, photos, RSe, series III, Seven, Six, Sonab, Sonab OA-14, speaker, speaker spotter, speakerlab, Speakers, speakers of craigslist, Super Seven, vintage, XP95B. Bookmark the permalink.